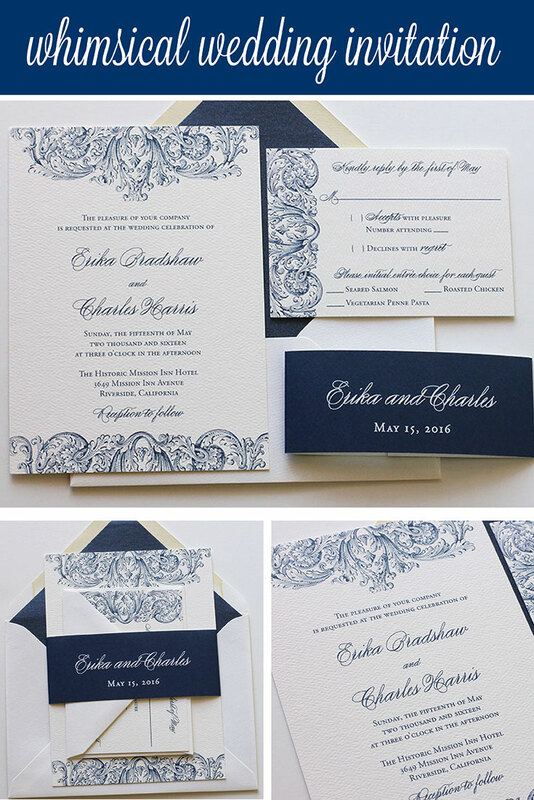 Our plume wedding invitation suite has a fantastic whimsical quality. All the romance and elegance, especially with that flowing script. The navy is a perfect color to use on this suite, giving it that traditional feel too. As always, all of our suites are completely customizable. See our quality printing and paper in person with one of our fantastic sample packages.